I have a little haul for you. And I do mean little. It's two jumpers and a pair of boots. But I thought I would show them to you now while the items are still available to buy, rather than saving them for outfit posts sometime in the distant future. 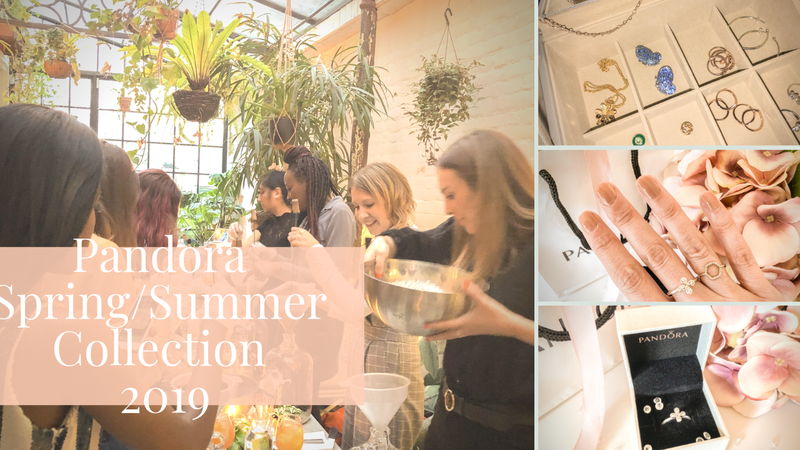 I'm sure I'm not the only one who's started shopping for their new season wardrobe, so if you happen to like any of the items I bought you should still be able to find them. They're all pretty basic, but there's a good reason for that. I tend to be a bit of a magpie when I shop, always drawn to embellishment or a pretty colour. As a result, not much goes with anything else, and I suffer from that age-old syndrome - masses of clothes and nothing to wear. So I'm trying to introduce a few more basics and neutrals into my wardrobe. 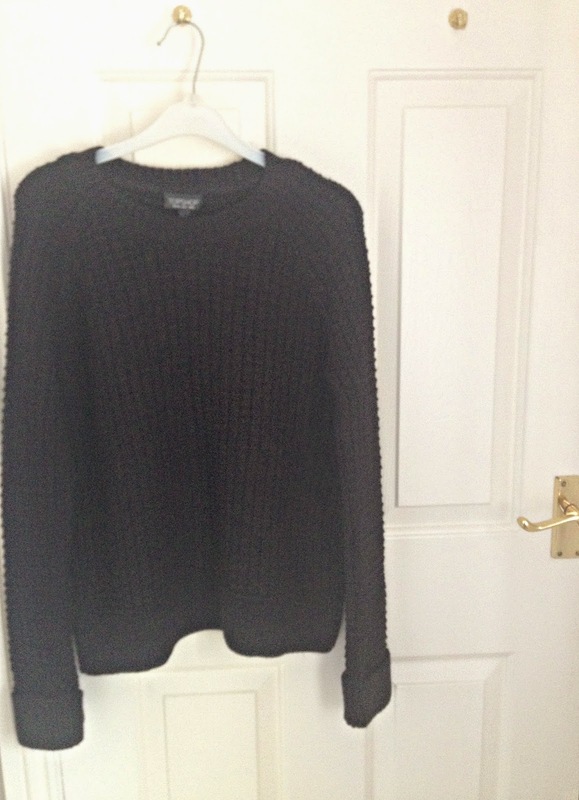 This jumper is from Zara and it's available in three colour ways. The others are red with black and yellow with black, but I much preferred this one. I'm actually wearing this in my last post, although you can only catch a tiny glimpse of it. 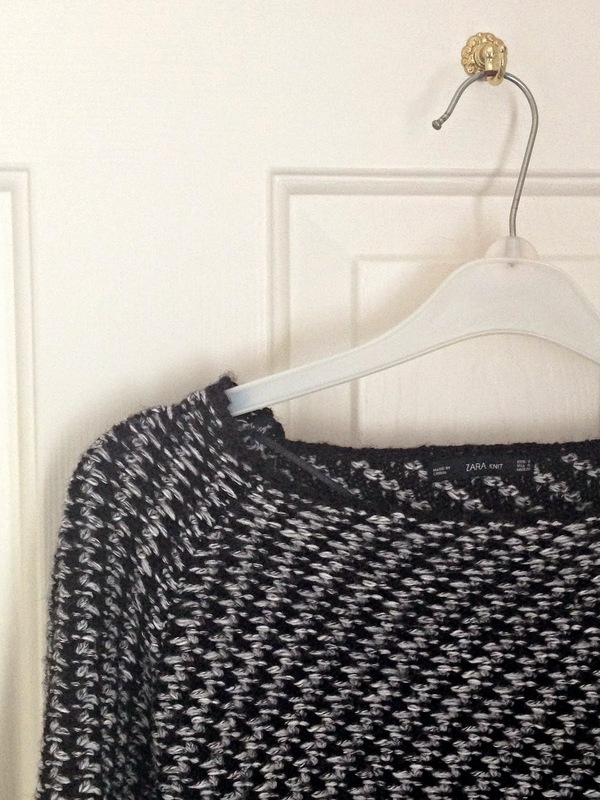 It's a lovely, soft knit, the perfect thickness for when the weather starts to turn cooler. 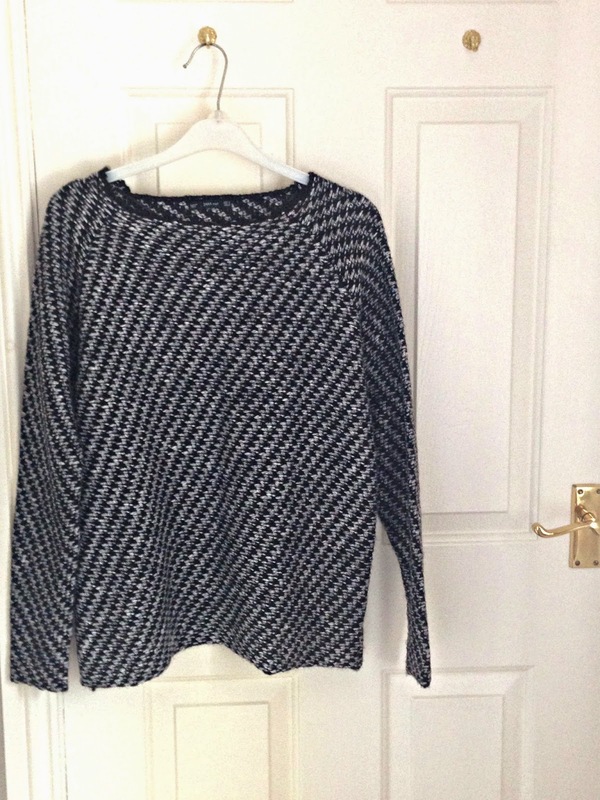 It feels warm and cosy to wear and it's quite flattering too, with the boat neck and loose (but not too loose) fit. 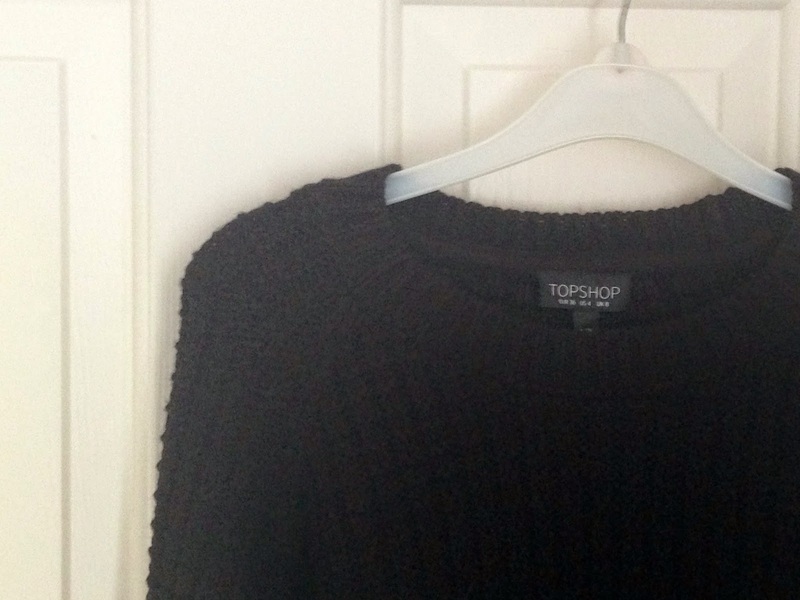 The second jumper is from Topshop, and it's black, which means it hasn't photographed as well as the other one. Still, you can get the gist of it (I hope!) It's a similar thickness to the Zara one and just as soft, but ever so slightly more fitted. I love them both, and chances are I will wear them to death over the cooler months. Now, onto the boots. 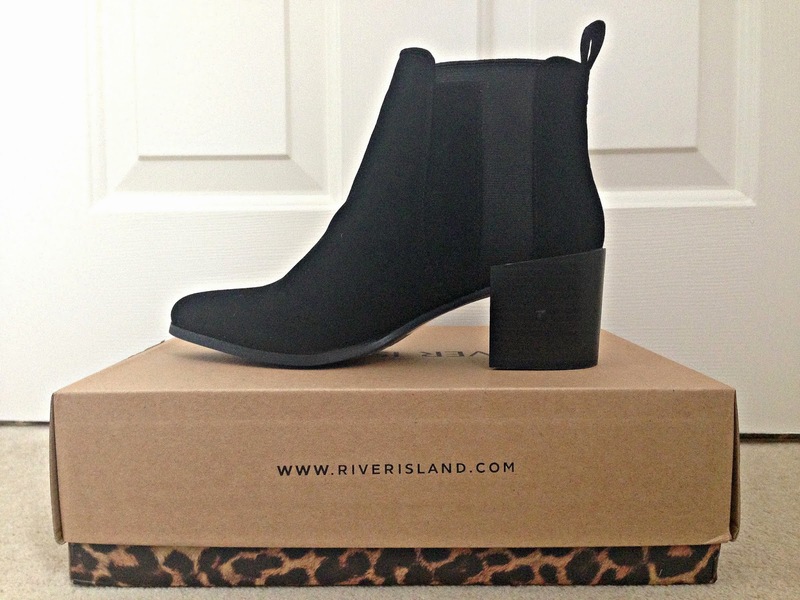 These were a bargainous £45 from River Island and are sturdy and comfortable. It was the sleek, slightly pointed toe that attracted me to them, as I tend to find that this style suits me better than the chunkier ones. I must admit, I have my reservations about the boots. Not in themselves - I think they're beautiful - but how they look on my feet. I don't know if anyone else has this issue, but I always find it difficult to go from light flats and sandals to heavy winter boots. Suddenly my feet look very clumpy and it takes me a while to get used to it. I also have a weird thing about my ankles/calves being skinny and boots not fitting snugly enough... but if I'm going to be that picky then I will probably never buy any boots, and I need boots. So watch this space - if I like them, they will undoubtedly feature on the blog over the winter. If you never see them again, you'll know I made a mistake! Has anyone else made any new season purchases yet? I can most definitely, definitely relate about the "masses of clothes but nothing to wear" issue and introducing more basics and neutrals is a sure fire way of making things easier! I absolutely love your gorgeous Topshop jumper, it's so achingly on point for when things get autumnal and the whole style mixes elements of smart and casual together perfectly. Every time AW comes round I see a jumper like this in Topshop and always mean to go buy one ;) Maybe this year I'll get round to it! Nice haul! I'm in love with the boots! these all look like good basics for the winter, i need to find some a/w clothes!! Those boots are GORGEOUS! 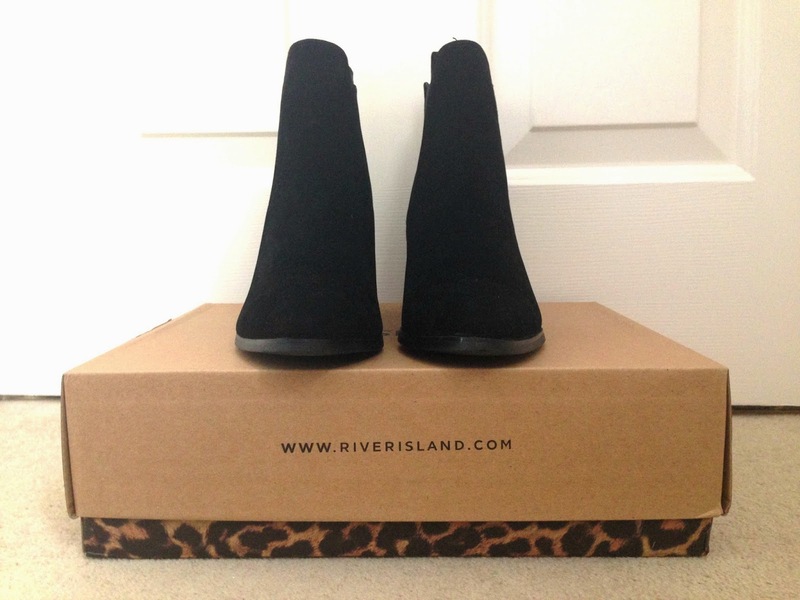 I love River Island for shoes - I feel like they are always on point and are generally really comfy! Great post! Just followed your blog on bloglovin, would love if you could check out my blog back! Ha ha i have similar issues with finding those snug fit boots everyone else seem to be finding. Nice haul you got there. Love the first sweather so interesting and cute! Love, love, love the boots ( you can never have enough boots :) ) and the Zara jumper looks so comfy and cute.